Dr. Eric Bolger serves as Vice President for Academic Affairs and Dean of the College at College of the Ozarks in Point Lookout, MO, where he also teaches courses in Bible, theology, and worship. He was a member of the inaugural (“Alpha”) DWS class and taught MWS 501 Biblical Theology of Worship for 14 years, beginning with the inception of the MWS program. He served as the academic dean of IWS from 2007 to 2010. He has extensive experience in worship leadership and is a member of the preaching team at his home church in Branson, MO. Equally conversant in the fields of choral music, Christian worship theology and practices, technology, and accounting and business, Kai Ton Chau’s diverse background has brought him into a career of an international scope. With particular interest in the higher education sector — especially in teaching, research and academic administration, his calling and vocation revolves around serving, learning, and teaching. Appointed as a visiting scholar at Calvin College in 2014, Kai Ton continues his research and writing in the field of Christian worship, and his effort in teaching and nurturing worship and music ministry, particularly among the ethnic Chinese churches in North America. Kai Ton held the position of Associate Professor of Music Studies and Jack Van Laar Endowed Chair of Music and Worship at Kuyper College in Grand Rapids, Michigan. In addition to directing the college choir and ensemble, he taught music theory and chaired the Arts and Sciences department. His diverse career in Hong Kong, Canada and the United States has afforded him the opportunities to serve at various churches, inter-church events, mass choirs, and institutions of higher education (including Institute for Christian Studies in Toronto, and Redeemer University College in Ancaster, Canada). Laura Story Elvington is a Bible teacher, worship leader, Grammy award-winning singer/songwriter, and bestselling author. The song “Blessings” was certified Gold in 2011 and inspired her first book, What If Your Blessings Come Through Raindrops. Laura’s music and writing show God’s love and grace intersecting with real life, and serve as a reminder that despite questions or circumstances, He is the ultimate author of our story. Laura recently released a new book, When God Doesn’t Fix It: Lessons You Never Wanted to Learn, Truths You Can’t Live Without. 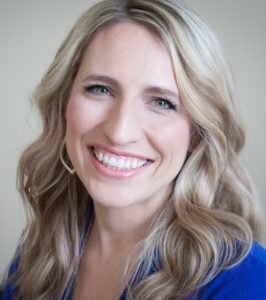 She has served as a worship leader at Perimeter Church in Atlanta since 2005, and is currently in the thesis stage of the Doctor of Worship Studies at IWS. Her greatest joy is being a wife to Martin and the mother to Josie, Ben, Griffin, and Timothy. Dr. Freeberg is an ordained Pastor assigned to Christ the Redeemer Cathedral Church in Ponte Vedra Beach, Florida. He serves as Chair of Education and Ministry for the Diocese. In addition, he is President of CWF Consulting, working with religious and distance education colleges and universities. 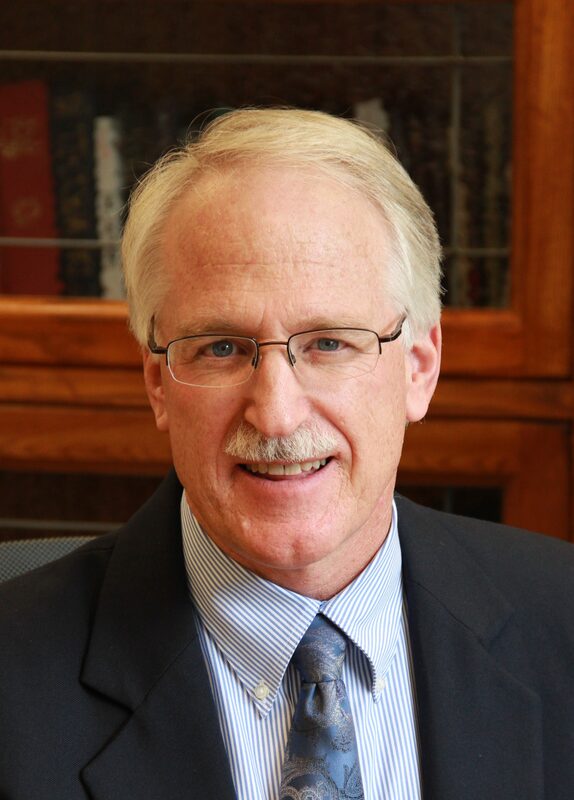 Dr. Freeberg holds a post-doctoral certificate in Leadership from Harvard University and a certificate in Distance Education from Penn State University. His academic degrees include a doctorate from Indiana University, masters degrees from Valparaiso University and New York University, and the bachelors degree from the State University of New York, along with six honorary doctoral degrees. Prior to ordination, he served Governors Askew, Graham, Martinez, Chiles and Bush as the chief administrative officer for Florida’s Board of Independent Colleges and Universities. Wayne and his daughter, Diana, live in St. Augustine, Florida, where Diana is a sophomore at Nease High School. Jim Hart holds a B.M. in Sacred Music from Oral Roberts University, an M.M. in Trumpet Performance from the University of Tulsa, and a D.W.S. from the Institute for Worship Studies where he graduated with the Alphas—the first graduating class—in 2002. He was critical to the formation of IWS in Florida and has held administrative responsibilities since its inception in 1999. He is a professional trumpeter, choral director, and a published composer/arranger, songwriter and author. He has served in church music ministry for approximately 40 years, including his current position as Choir Director at Grace Anglican Church in Fleming Island, FL. Dr. Hart and his wife, Carol, have three daughters. Dr. Lindsell is Head of School, Oakbrook Preparatory School, 190 Lincoln School Road, Spartanburg, SC and lives in Inman, SC. He also teaches on finances in non-profit organizations in Harvard’s Summer School and has served on the faculty at Kennesaw State University. Previously John worked as the Headmaster and CFO at Westminster School of Augusta, GA, as Headmaster at the Whitefield Academy in Atlanta, GA, and also as the Assistant Superintendent for Finance for the Merrimack School District in New Hampshire. 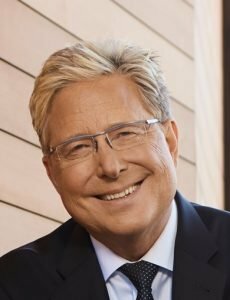 If you ask Don Moen why God put him on this planet, he’ll tell you, “To be an architect who designs products and events that help people experience God’s presence in a new and fresh way.” And in more than three decades of ministry, he’s had lots of opportunity to fulfill that purpose. His discography reflects his passion to create resources for the church that lead people into an honest and intimate relationship with the Lord. In 2002, his peers recognized that lifelong commitment and presented him with the Ray DeVries Church Ministry Award. In addition to his writing and recording, Don makes time to tour domestically and abroad and has performed with artists such as Chris Tomlin, Twila Paris, Sara Groves and Paul Baloche to name a few. He also has served as worship leader for past National Day of Prayer events and as a music industry spokesperson, having been featured on Fox News, NPR and in USA Today. Don is as popular overseas as he is at home in the U.S. His travels for concerts and seminars have taken him to Ghana, South Africa, Singapore, the Philippines, South Korea, Brazil, Canada, Australia, Great Britain, Hong Kong, Malaysia, Indonesia, Japan, Guatemala, Honduras, and elsewhere. Today, Don is President of Don Moen Productions in Nashville, Tennessee, where he resides with his wife Laura and five children. Mrs. Joanne Lindsell Webber, Esq. Dr. Webber worked in education, social work, and law in the public sector for 30 years, and has been retired since 1997. She resides in the home she and Bob built at Bethany Beach in Sawyer, Michigan. 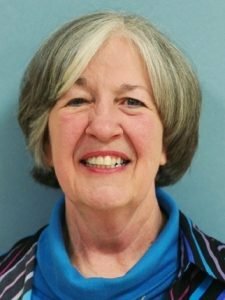 Ms. Witt’s varied thirty-year career with IBM started with software development, technical education, and technical marketing, and concluded with leading international custom solutions teams as a nationally certified project manager. Committed to community service since her teens, she serves in various roles with her church; has helped establish several non-profits; served as a Stephen Minister and Leader, as Laubach Literacy Tutor and Trainer; and volunteers with Kairos Outside, Soroptimist International of the Americas, Inc., the Woman’s Club of Raleigh and founding member of Partners Against Trafficking Humans in North Carolina. An Alabama native, she is the recent widow of David Witt, immediate past IWS Board member and organist of Hayes Barton United Methodist Church, Raleigh, NC. She and their daughter and her family also reside in Raleigh. She enjoys choral singing, cooking, and traveling. Dr. Costen is a widely recognized authority on music and worship. She has just retired as the Helmar Emil Nielsen Professor of Music and Worship at the Interdenominational Theological Seminary in Atlanta and is a visiting professor at Yale Divinity School for Fall 2007. She is the author of several books, including African American Christian Worship, which is widely used by theological seminaries. Melva’s latest book is titled Somewhere I Heard…! Worship and Celebrations in African American Traditions and is forthcoming from Geneva Press. Dr. Costen chaired the committee that created the 1990 PC(USA) hymnal. Dr. Whitlock is a graduate of the University of Florida, Westminster Theological Seminary, and Vanderbilt University (D.Min.). He served as the president of Reformed Theological Seminary in Orlando for 23 years, and was the Executive Director of The New Geneva Study Bible and The Spirit of the Reformation Study Bible. Dr. Whitlock, a Presbyterian minister, has spent much of his life in education, including 27 years at Reformed Theological Seminary (RTS). Dr. Whitlock joined the faculty of RTS in 1975, and, at the age of 37, was appointed president, a position he held for 23 years. Under his leadership, RTS grew from a small regional school to one of the most innovative as well as one of the 10 largest seminaries in North America. Dr. Whitlock’s years of ministry have been marked by an effort to bring mutual understanding and cooperation within the worldwide evangelical community, which led him to serve on the boards of the National Association of Evangelicals (NAE), the World Evangelical Fellowship (North America region), Mission America, the Lausanne Committee for World Evangelization, and Greater Europe Mission. He was co-founder and co-president of the International Reformed Fellowship, and later assumed a major role in the establishment of the World Reformed Fellowship. Dr. Whitlock has contributed to more than 20 books and 20 periodicals. He is author of The Spiritual Quest and served as executive director for The Spirit of The Reformation Study Bible.